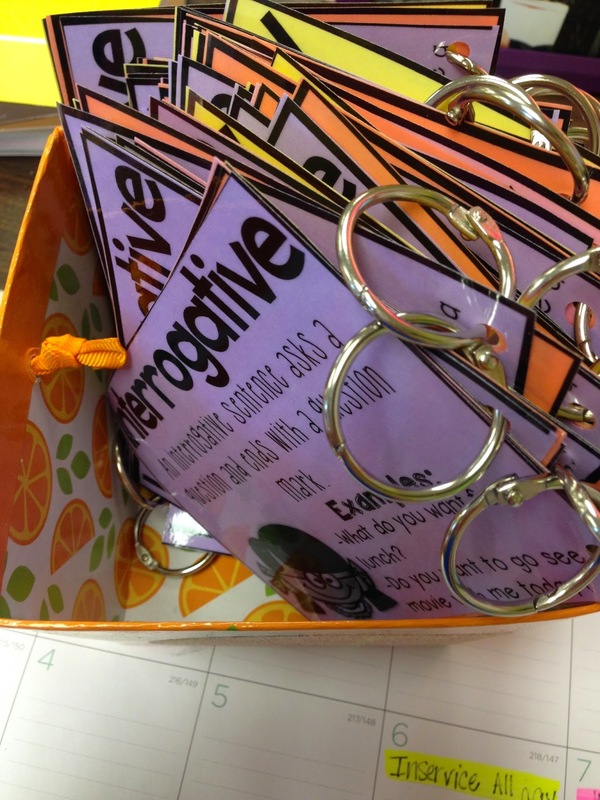 Blog Hoppin': Reference Cards: Providing Your Students with a Visual Aid-Freebie! Reference Cards: Providing Your Students with a Visual Aid-Freebie! Hi friends! It's Leslie Ann from Life in Fifth Grade. 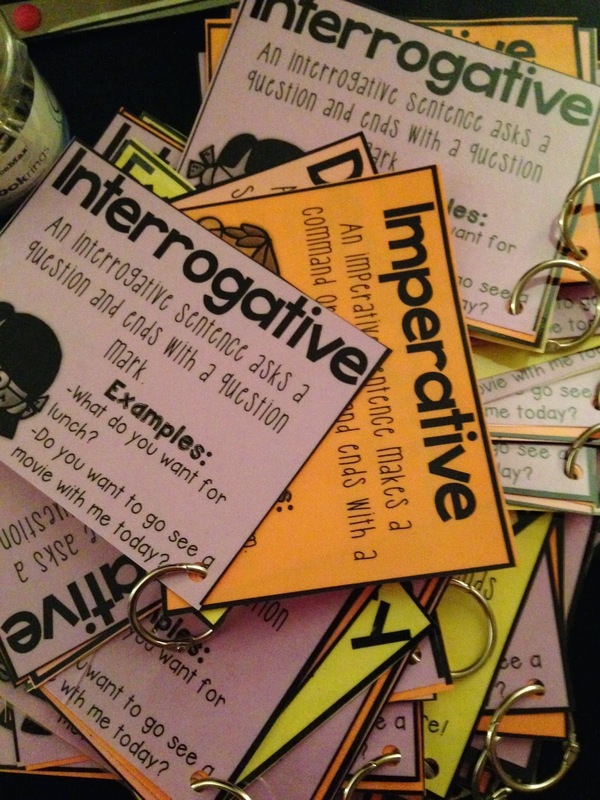 Today I wanted to talk to y'all about a little thing I've started making for my weekly comprehension/language arts lessons that has really helped. 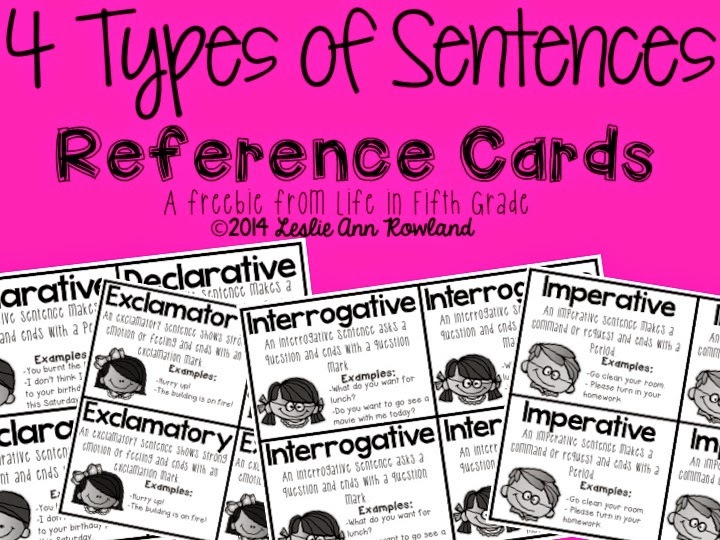 I make reference cards for each student (not to keep, just to refer to during class). 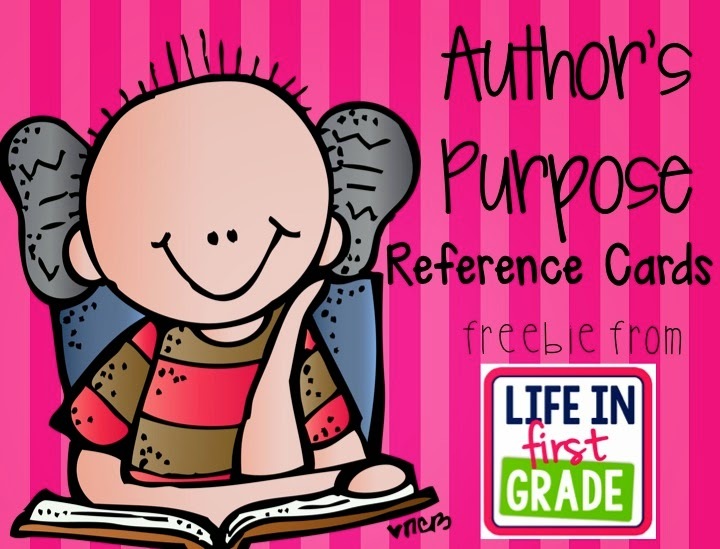 For example, if we are working on author's purpose, I give each student a ring of author's purpose reference cards. This way, it's sorta like they have their own anchor chart that they can refer back to throughout the lesson whenever they need to remember what something means. You can grab a free copy of those by clicking the pic below. I've also made one for the 4 types of sentences. 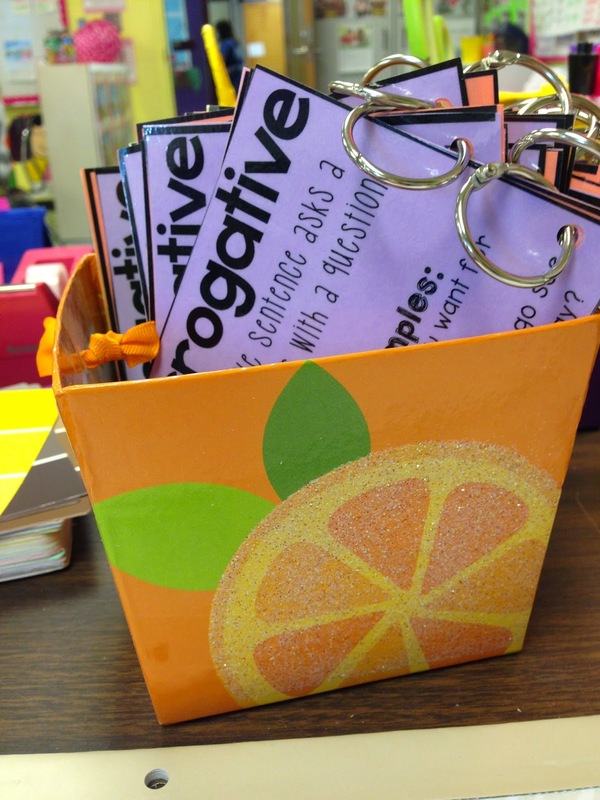 This helped out tremendously during the lesson. You can grab a copy here :) Enjoy! Wow these are absolutely awesome! I don't have space to even really create anchor charts - let alone display them, so I love this idea - I downloaded these two (left feedback) and started following your store and personal blog. I hope you make more soon!